A refreshing smoothie packed with bright flavor thanks to organic oranges, pineapples, mangoes, apples and acerola cherries. It's an excellent source of Vitamin C, made with 100% juice and no added sweeteners or artificial flavors. 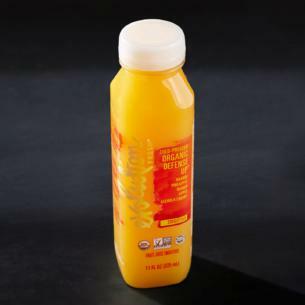 Organic Orange Juice, Organic Pineapple Juice, Organic Mango Puree, Organic Apple Juice, Organic Acerola Cherry Puree.